This was the best wedding I have attended. 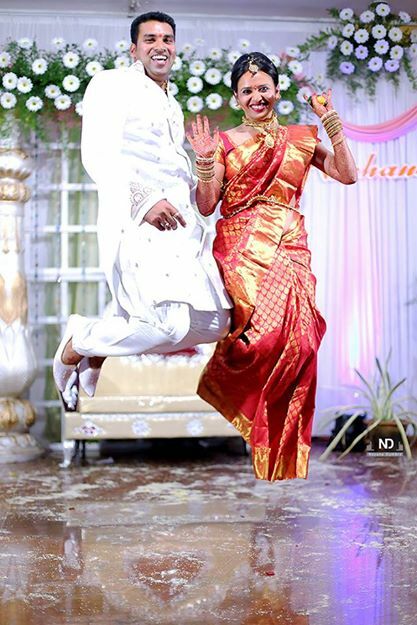 There were so many “best” things in this wedding, the “bestest” of all being the bride who was like a super-bride: fuss-free, hyperactive and super-sweet: Vachana. On my first day there, Vachana, Aishwarya (MoH) and I went to Udupi town for last minute stuff. We also made time for a Udupi meal along with the famous Gadbad ice-cream, which originated in Diana Hotel, Udupi, as a matter of fact! Mid-way through the party, we all went to the beach at night to light up Chinese wish lanterns; aah… they looked so pretty, floating with our wishes into the night! The next day was the traditional wedding. 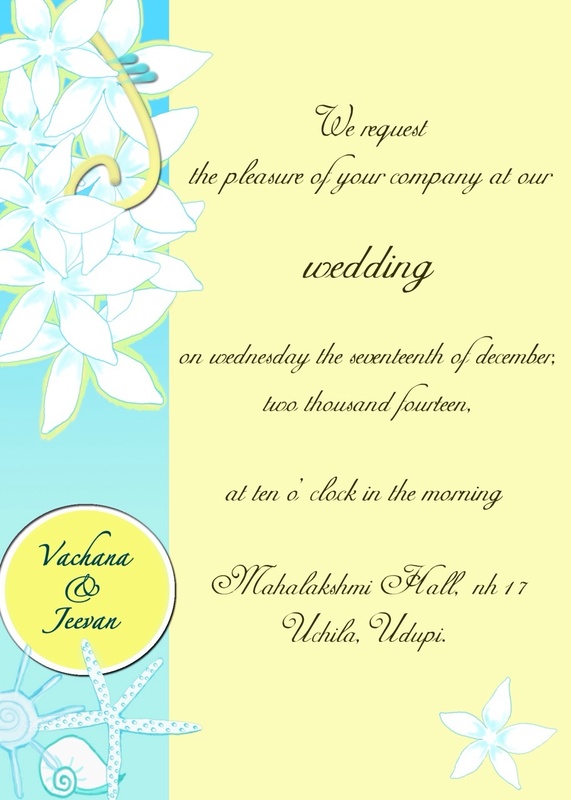 I never saw a happier couple than Jeevan and Vachana. May they always be happy! After last night’s party and unleashing each one’s dance moves on the other, all strangers became friends. And after the wedding, we hung around the resort; chatting, drinking, listening to songs. In the late evening, some of the girls started building sand castles on the beach. The sun cast a deep red on the sky. Nayana, a most brilliant photographer and now a friend, was having a field day wielding her camera on all the colors Uchila beach had to offer. At one point in the late evening, she captured this image of the stars. Isn’t it just brilliant! Now picture yourself sitting on the beach with a gazillion stars overhead. It was the most heady feeling. A joy so primal, I was overwhelmed! The next morning, the ‘leftover’ people at the resort decided to go to a beach which we all referred to as the Secret Beach (and the secret shall remain a secret!). 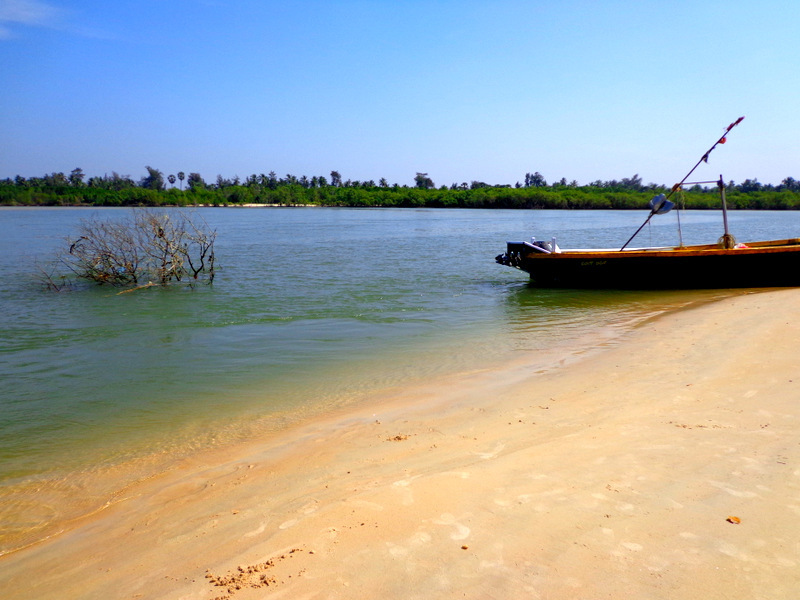 We rented autorickshaws and went to a point from where a fisherman took us for a tour. Well… basically, I don’t know where we went… but I remember he telling us that two rivers and a sea joins at that particular spot. The daring ones even took a dive into the sea. You dare-devils, you! I shouldn’t blabber much here… it’s better to just appease you all with photos. In short, the Uchila trip was perfect in so many ways. I met old friends and new. I made new memories with all of them. Those three days, I lived life larger than life itself. Thank you, Vachana, for showing us Uchila and being patient with all of us! Next Next post: Day Trip from Pune: Panchgani and Mahabaleshwar in a day!